When choosing a stem the main things to consider are length, rise, bar diameter and material. Don’t get too hung up though, it’s a relatively easy decision making process when deciding what’s right for you. Handlebar stems look like a fairly standard piece of equipment but have a massive influence on control and comfort. Get the wrong size stem and not only does reaching the bars become an issue but steering as well. Thankfully they are easy to replace and there’s an overwhelming choice available so you can fine tune your position quite easily. Stem length is the crucial aspect to take into consideration when purchasing. Too long and you’ll be stretched out to reach the bars which can cause pain in the neck and shoulders. This can also lead to problems with control as you’ll be stretched even further when turning. Steering is also affected by stem length; too long and the steering can become slow and wayward while too short and the steering can be twitchy and unnerving. 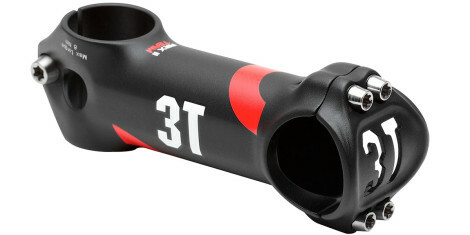 As a rule of thumb, on a road bike you shouldn’t run a stem much shorter than 90mm or much longer than 130mm. If you need a stem length beyond those extremes, your bike frame is the wrong size. Sorry! The rise (angle of stem from fork to bar) has quite a large effect. Rise is quoted in + or – degrees as this determines the angle the stem rises or falls from the fork steerer. The higher the degrees (+) the more upright your position will be. Or if inverting the stem, the lower you will be. The majority of riders will appreciate a fairly low angle ie. less than 10° as this gives a fairly neutral position with just a low rise. Leisure riders will appreciate a more upright position. Racers will try to get a low as possible for better aerodynamics. Don’t forget that you can also probably raise and lower your stem by moving the spacers around on the fork steerer. Often all it takes is to swap a 10mm spacer from being under the stem to being over the stem to make all the difference you need. NB: some manufacturers quote the other way ie 83° which in reality is a 7° rise so don’t expect a near vertical stem! Fork steerer tubes are almost universally 1 1/8” at the top – even if the fork is 1.5” oversize at the fork crown – so most stem manufacturers don’t even quote this clamp figure. Older bikes have a 1” steerer but these are becoming rare and any stem to fit these types will be clearly labelled. Some bike manufacturers produce larger diameter fork steerer stems but these are quite rare and also clearly labelled. Thankfully the handlebar clamp diameter is almost universally 31.8mm nowadays (or 31.7 in some cases but this will still fit). Despite this, 31.8 is still referred to as ‘oversize’ (which was to differentiate it from the old 25.4mm size). The only exception to this handlebar clamp size is the new Deda 35 system which is, you’ve guessed it, 35mm and needs a corresponding bar and stem. Most bar clamps are 4-bolt pattern which as well as being stiffer also helps spread out the pressure of the clamp across a greater area on the bar, which is something that carbon bar users will appreciate. The main construction material for stems is alloy. There are also some carbon models and some even rarer titanium ones. 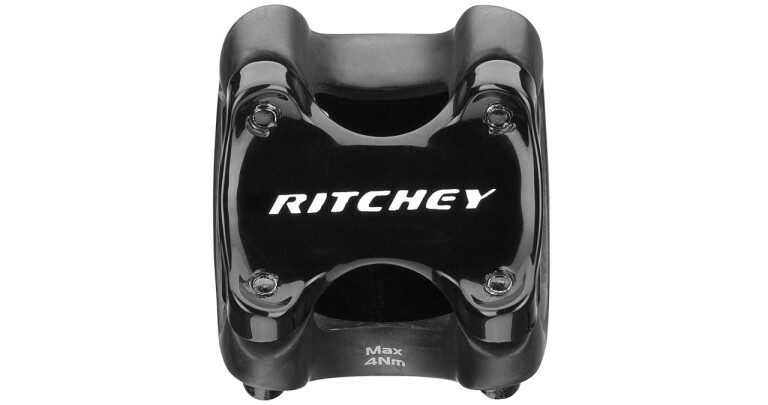 Alloy stems are relatively cheap and light weight so they are the most common model available. Carbon stems are lighter and can be incredibly stiff but they’re also way more expensive so usually favoured by racers or weight weenies. Lastly and not to be overlooked is the stem colour. Does it match your bike, bars, seatpost? A small consideration to some but once you have your position sorted there’s no point in spoiling it with the wrong aesthetics! Having said that, there’s often not much in the way of colours to choose from. It’s not quite as bad as “any colour so long as it’s black” but it’s rare that you see a stem that isn’t white or black. Which stem should you buy? There’s no hard and fast rule for choosing a stem, it’s mainly whatever works best for you. Two identical riders with identical bikes may need a different stem so just make sure whatever you have works best for your needs. Leisure riders will appreciate a more upright, closer position as this more comfortable and easier to control. So stems no longer than 100mm and with 10 degrees or rise will be a good option for most. Regular riders will want a fairly neutral position so will go with a slight rise, say 6° or 7° and a middling length according to their needs and position. Racers will want the longest, lowest stem they can get away with and still be in control. This stretched out position will be better for aerodynamics. Some prefer light weight while some will sacrifice low weight for strength and rigidity, especially so for larger riders and sprinters. Tagged 25.4, 31.8, 35mm, 3t, beginners, buyers guide, cockpit, deda, enve, ritchey, stem. Bookmark the permalink.